Party on with Ubisoft's limbless hero. Ubisoft's ready to party - and it wants you to join the fun. The company announced that Rayman Fiesta Run, its highly anticipated sequel to the well-received Rayman Jungle Run, will release on iOS and Google Play November 7th, going for the low price of $2.99. The game features 75 brand-new levels to run, swim and shrink your way through, with a number of new power-ups available and various modes to choose from. The game also introduces a festive new world to explore, one filled with hot peppers, maracas and disco balls. New bosses were also thrown in for good measure, along with brand-new Achievements to earn, and the ability to challenge friends for high scores. Obviously, the highlight will be the presentation. Rayman Jungle Run included surprisingly smooth graphics, and Fiesta Run will continue this trend, utilizing the UBIArt Framework system. Expect terrific hand-drawn backdrops and characters that bring the game to life. You can find out more in the developer diary below. 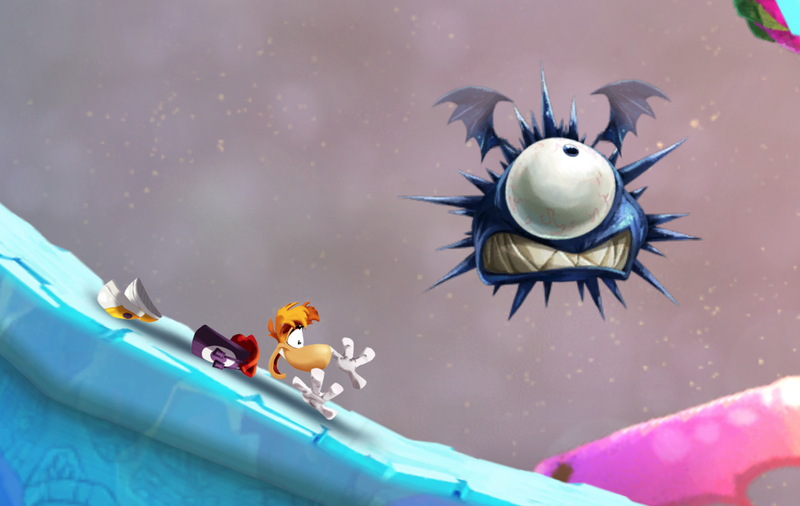 We'll have a review and cheats for Rayman Fiesta Run shortly following its release.